For I was hungry and you gave me food. I was thirsty and you gave me something to drink. I was a stranger and you welcomed me. 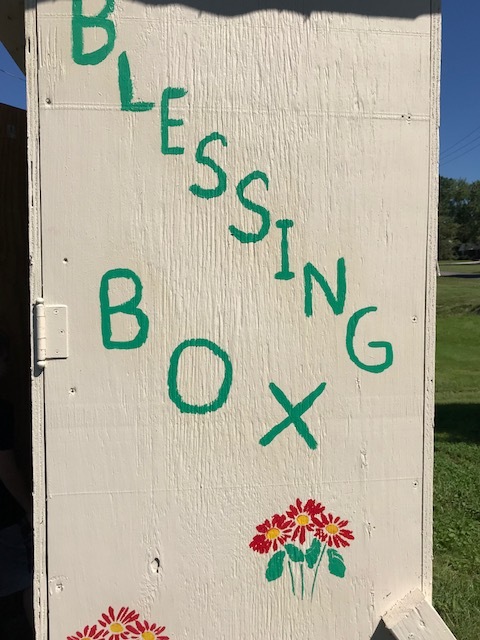 Over a year ago I saw a story on the nightly news about something called a blessing box. Not sure exactly what it was, I continued to watch instead of changing the channel. Eric Escamilla, an insurance salesman in Big Spring, Texas wanted the people of his town to know there was a blessing nearby if they needed one. 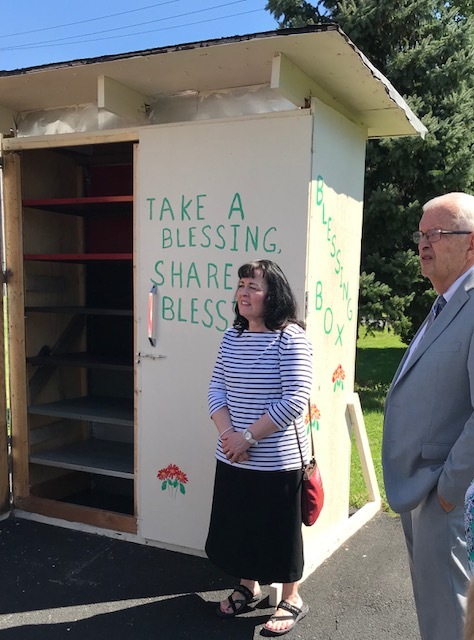 He built what he called a “Blessing Box” placed it along one of the streets and filled it with non-perishable food, personal hygiene items and diapers. The idea was simple. Anyone can take what they need and leave what they can. 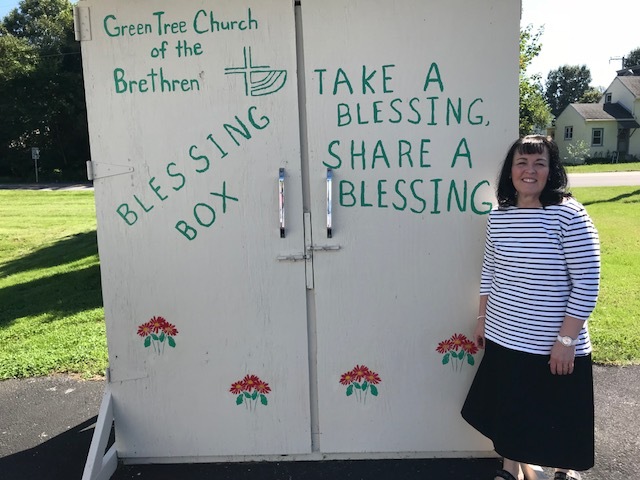 Low income families, people who have lost their jobs and others in need can receive a blessing at any time and not feel embarrassed to take from the box. 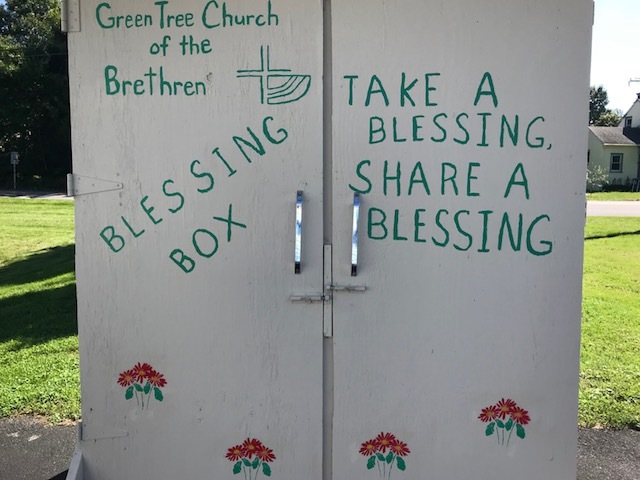 Eric has inspired others in the town to donate items to the box and to build their own blessing box. 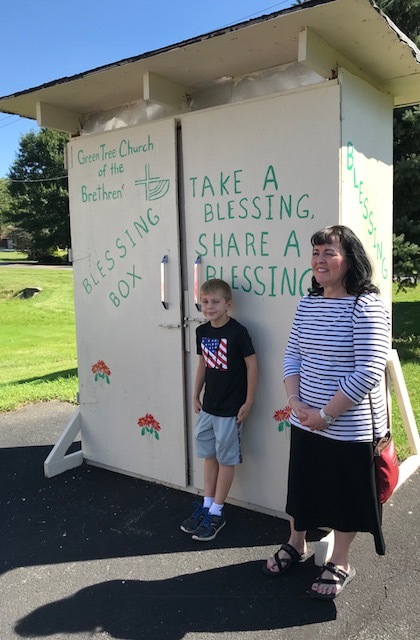 Eric even provided a special “birthday blessing box” to Joshua who was celebrating his birthday but knew Joshua’s single mom of four had just lost her job. Eric wanted Joshua to be able to have a nice birthday and gave Joshua a box of birthday treats including sprinkles. Eric is truly a blessing to his town by showing kindness to others and had inspired me to want to do the same for our community. Long story short, I presented the idea to our Green Team and we were all in to jump on the project. However, time constraints and the weather just were not cooperating. 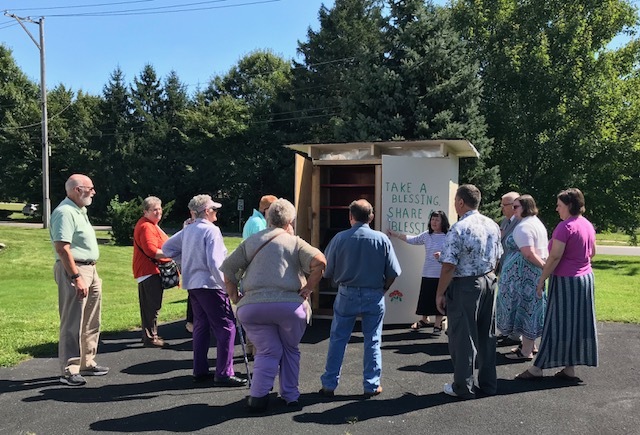 So here we are over a year later and ready to open up our own blessing box to the Oaks-Phoenixville community.